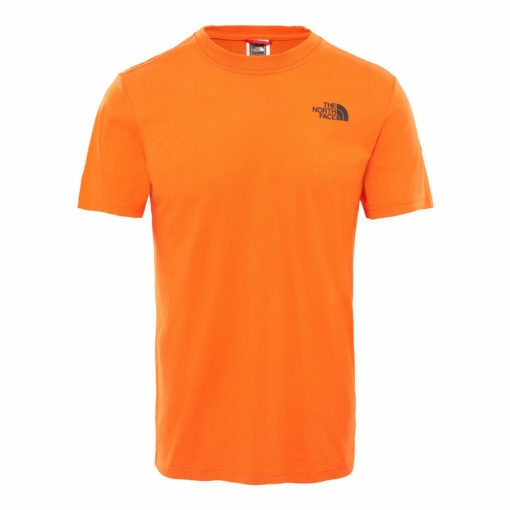 The aptly named North Face Red Box Men’s T-Shirt features the iconic TNF brand logo printed on the back of this stylish top. Made from 100% cotton, this short-sleeved North Face Re Box tee feels very comfy to wear. A crew style, neckline, rib-knit collar with self-fabric tape, plus chain stitching at the collar gives each TNF Red Box tee a casual look, bit with a fit that gives a smart styling so can be worn for a multitude of occasions. Available in a range of colourways as well, this North Face Red Box Men’s T-Shirt will suit plenty of tastes.